(Farina et al., 2002), moreover it affects the human health (Osinska et al., 2004). Pressure cookers are also one of the sources that contain Aluminum (Sengupta et al., 2006). Being the cheap, aluminum wares are commonly used all over the World (Nayak et al., 2010). Cryoliteis a pesticide is used for Organic and Conventional grapes is very easily absorbed by the crops to which it is applied, which means that people who eat grapes, or who drink wine made from grapes that have been sprayed with cryolite, are inadvertently consuming untold amounts of toxic fluoride. 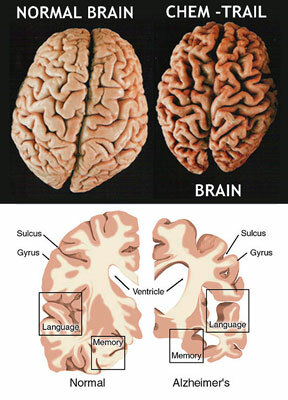 It turns out that cryolite contains aluminum fluoride that shed fluoride ions, which then pass through the blood-brain barrier and contaminate brain tissue. Aluminum is present in our food, water supply, and soil, most people suffer from some degree of aluminum toxicity. 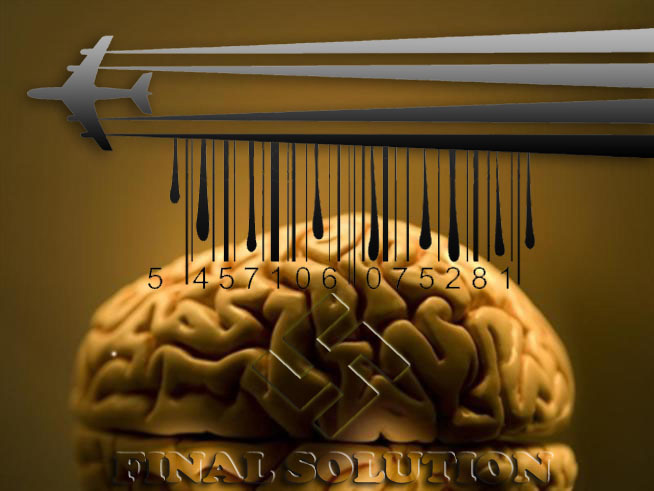 After years of accumulated exposure and storage in body tissues, this poison can have results ranging from brain degeneration to skeletal deformities. * It is particularly poisonous to the nervous system with a range of symptoms that can include disturbed sleep, nervousness, emotional instability, memory loss, headaches, and impaired intellect. * It can stop the body's ability to digest and make use of calcium, phosphorus and fluoride. This prevents bone growth and reduces bone density. Aluminum can also cause conditions which actually force calcium out of the bones. Either of these situations can bring on weakness and deformation in the bone structure with crippling effects. * Toxicity can also result in aching muscles, speech problems, anemia, digestive problems, lowered liver function, colic and impaired kidney function. * Frequent users of buffered aspirin, such as people with arthritis, could possibly take up to 700 mg of this metal each day. But since aluminum contributes to bone damage, the aspirin actually enhances arthritis. 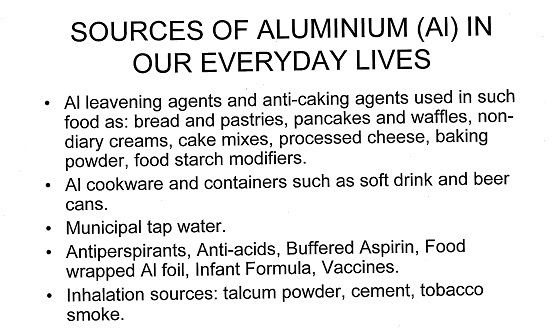 * Digestive aides such as diarrhea and hemorrhoid medicines can also contain aluminum. A typical dose of aluminum-containing antacids can contain as much as 200 mg. and an entire day's use can supply 800-5000 mg. of aluminum. * Aluminum is also often added to hygiene aids such as antiperspirants and douches. 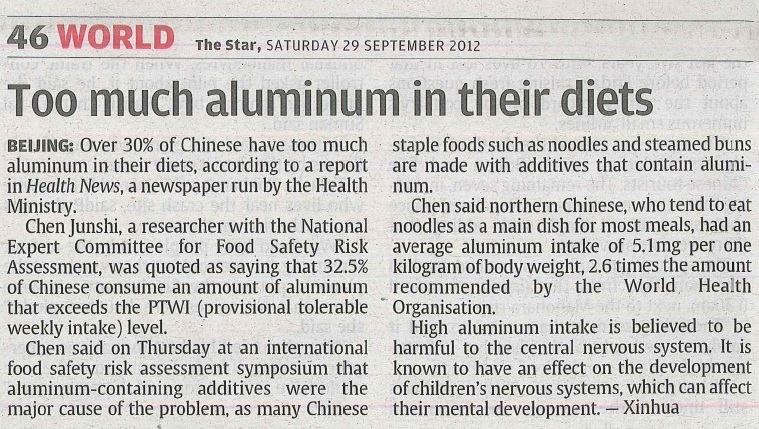 * Food that has been cooked or stored in aluminum pots and aluminum foil is another source. 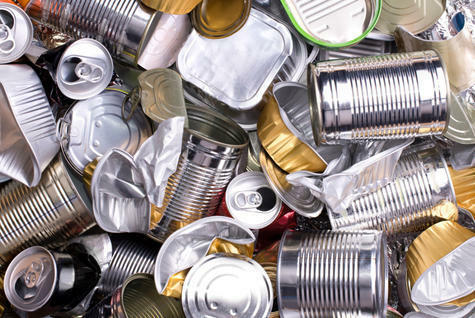 Estimates say that as much as 4 milligrams of aluminum can be transferred to each serving of an acidic food such as tomatoes or citrus fruits that has been heated or stored with aluminum. * Stainless steel cookware can be a source as well as it is made by bonding the stainless steel with layers of aluminum. My testing and experience shows that after stainless steel cookware has been used for a short period of time, aluminum traces begin to enter the food. * There are six aluminum salts that have been approved as food additives in the United States. The salts most commonly used are sodium aluminum phosphates. They are added to cake mixes, frozen dough, pancake mixes, self-rising flours, processed cheese and cheese foods and beer (in aluminum cans). Just one slice of individually wrapped processed cheese can contain up to 50 mg of aluminum. It is thought that the cheeseburger may contain one of the highest aluminum contents of any food. Baked goods have approximately 5-15 mg per serving. * An average sized pickle contains 5 to 10 mg if it has been treated in an alum solution which is commonly done. Alum is a form of aluminum sulfate that is used in the pickling solution to firm up the cucumbers. While the first step in ridding your body of this poison is to avoid aluminum intake as much as possible. The next is to provide your body with nutritional support to give it the strength it needs to detoxify this metal. There are several supplements that can assist in this process. They are Core Level C, Core Level Health Reserve andCore Level Liver. When aluminum comes out of its stored locations in your body it can act as an irritant. For example it has a tendency to irritate nerve endings which can irritate muscles. Therefore, when someone is detoxifying aluminum, there can be discomfort involved. And, since the kidneys are the organs that handle this detoxification, there may be pain in the back, over the kidneys, also. Because aluminum tends to concentrate itself in the brain, the detoxification process can be accompanied by mental confusion. It can also cause flu-like symptoms with fever, chills and mucous discharge. The detoxification will run its course and the symptoms will go away. Because any nasal discharge will be toxic, spit it out, don't swallowing it. These symptoms are normal and should not be confused with illness. As your body rids itself of the poison, the symptoms will go away. Don't stop the detox program. * In your home, you should replace aluminum or metal cookware with one of several options: Enamel coated steel cookware is a safe option. For frying, old-fashioned cast iron works best, but please avoid the non stick surfaces. Corning ware and Visions cookware are also safe but again please use without the non stick surfaces as they are toxic. * Do not cook with aluminum foil, and minimize its use for food storage. Never use it to wrap acidic foods (oranges, lemons, tomatoes, etc.) or cooked food that is still hot. * Use bamboo steamers instead of metal vegetable steamers. * As nearly all cooked restaurant food has aluminum in it, here are a couple options regarding that. * Reduce your cooked choices of food while dining in a restaurant as raw food has no contact with their cooking utensils. Order salads and cole slaw and juice! * If you do eat cooked restaurant food, take 3-6 Core Level C's with the meal. This will help your body move out some of the aluminum before it stores in your body. * Check the labels of all food, medicinal and hygienic products you buy, avoiding those that have aluminum content. * Minimize your intake of cheese, particularly processed cheeses. * Minimize your intake of any baked goods that are not homemade without aluminum additives. Your body can tolerate low levels of aluminum, you must be sure that the level stays low and does not build up. This requires care and continued monitoring. There are tests such as hair/urine/blood analysis that can be done to help you monitor the aluminum levels in your system. Aluminum is a well-known neurotoxin that may lead to long-term brain inflammation, along with a broad range of serious health problems. There is overwhelming evidence that chronic immune activation (inflammation) in your brain is a major cause of brain dysfunction in numerous degenerative brain disorders, such as multiple sclerosis, Alzheimer's disease, Parkinson's,and ALS, which may explain the reported association between aluminum-containing vaccines and these diseases. "Despite almost 90 years of widespread use of aluminum adjuvants, medical science's understanding about their mechanisms of action is still remarkably poor. There is also a concerning scarcity of data on toxicology and pharmacokinetics of these compounds. In spite of this, the notion that aluminum in vaccines is safe appears to be widely accepted. Experimental research, however, clearly shows that aluminum adjuvants have a potential to induce serious immunological disorders in humans. 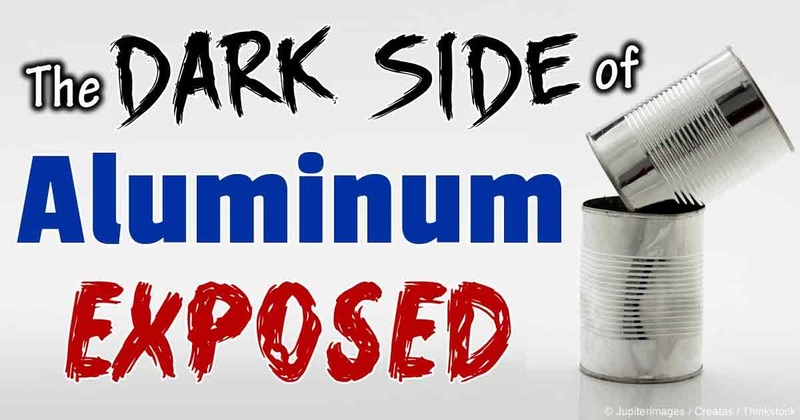 In particular, aluminum in adjuvant form carries a risk for autoimmunity, long-term brain inflammation and associated neurological complications and thus may have profound and widespread adverse health consequences. In our opinion, the possibility that vaccine benefits may have been overrated and the risk of potential adverse effects underestimated, has not been rigorously evaluated in the medical and scientific community." And this is the overriding point that needs to be understood: there are many signs indicating that we are giving our children far too many vaccines, and that vaccines of all kinds may be far less innocuous than previously believed. The current one-size-fits-all vaccine mandates simply throws too many children under the proverbial bus, because we simply do not know what all these vaccines are doing to individuals with different genetic and biological predisposition to developing chronic inflammation in the body (which can be manifested by a personal or family history of severe allergy, autoimmunity or neurological disorders) or how different vaccines interact when given in combination.